Analysing progress using Progression Materials in CASPA. 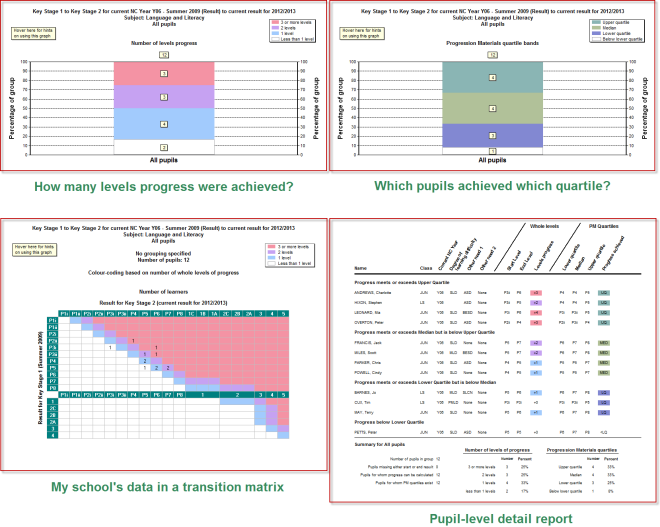 The Progression Materials (aka Progression Guidance) data set is built in to CASPA to allow users to generate reports comparing pupil progress against these quartile tables. Under the Ofsted framework, continual self evaluation has become more or less essential. CASPA’s own analysis is complemented with Progression Materials analysis to help you analyse progress over Key Stages. Schools have reported that these Progression Materials features have saved them countless hours. When the Inspectors call, you may wish to compare the progress of pupils in your school against the expectations published in the Progression Materials in addition to analysis using CASPA’s own benchmarking. The following is a taster as to what you can do in CASPA via the Reports | Key Stage transitions using Progression Materials suite of reporting. The best way to learn will be to download the Evaluation Version and explore these features yourself, also viewing the video clip for an introduction. When using Progression Materials, Ofsted’s expectation has always been that expected’ progress is the median level. CASPA’s reports give you the answers to all of your questions about achievement with respect to Progression Materials in one place. Use of the finer assessment detail you record for pupils that allows you to analyse progress and attainment between levels.